Arya's career graph is quite enviable. He has acted in the critically acclaimed Naan Kadavul, Avan Ivan and Madrasapattinam and also the commercially successful Boss Engirunda Bhaskaran. His biggest commercial film, Lingusamy's Vettai, releases in time for Pongal, on January 14. Besides Arya it has stars such as Madhavan, Sameera Reddy and Amala Paul. 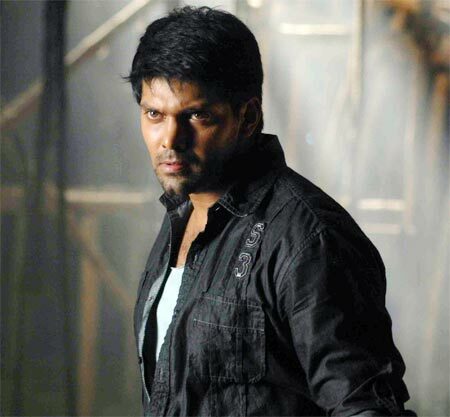 Arya plays Madhavan's younger brother in the film. In this interview, Arya speaks about the film, his first outing as an 'action hero', and why he's so sure the film will be a blockbuster. How does it feel having a release in time for a festival? This is the first time that I've had a release during a festival and it is exciting. A festival is fun in itself and the mood among the people is festive. Vettai reflects the real mood of a festival. It is a commercial entertainer. Did you accept because Lingusamy was directing the film? Yes, it is only because of Lingusamy that I signed the film, without even listening to the story. My good friend Nirav Shah (the cinematographer) told me it was not necessary to listen to the story. He said it would be a blockbuster. When he had that much confidence in the film, I had no second thoughts about signing the film. Did you enjoy playing the younger brother who protects the older one? Yes (laughs). 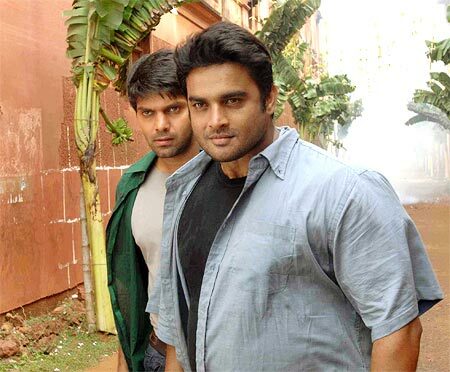 Maddy (R Madhavan) plays my elder brother who is a cop but scared of many things. The movie is about how I motivate him to be a fearless cop, how he becomes one ultimately, and the changes in our lives. The characterisation is so powerful that the story and the screenplay are the real heroes of the film and not us. What was it like acting with Madhavan? It was fantastic. When we saw ourselves on the monitor, we found that we really looked like brothers! Did you have to do a lot of action scenes in the film? Yes, this is the first time that I'm doing a mass action film. It was tough doing the action scenes. Today, people expect Hollywood-style action in our films, and with advanced technology, they can spot whether it was the hero, or the double, or computer graphics. We had done some action scenes in rocky terrain and generally you get hurt doing action scenes. Luckily, I escaped getting hurt badly. Though doing action films is a strenuous job, I enjoyed my first outing as an action hero. Do you enjoy watching action films? If the action scenes come at the right time, it is enjoyable. You have to hit the bad guy at the right time. Like in Basha, we all eagerly wait for the moment when Rajnikanth hits the bad guy! In Vettai all the action sequences are necessary and part of the story. So I'm sure audiences will enjoy it. How far do Indian films have to go to be on par with Hollywood films in the action genre? I feel we have a very long way to go. The kind of budget they have for action films, the safety measures they follow, are far, far ahead of us. It is unfair to compare our films with Hollywood because their budgets are so high. Their action budget alone would be as big as our budget for an entire film. The budget makes a lot of difference. What we do is one-hundredth of what they do. That is the beauty of acting in films. You can do so many things. There is variety in life. Another thing is, as an actor, you cannot stick to one genre; you have to do all kinds of films. Otherwise, you will be typecast. So, I make it a point to do all kinds of films -- from a Naan Kadavul to Vettai. In Vettai, you have a mixture of everything, comedy, action, sentiments -- a complete Lingusamy entertainer. As an actor, do you surrender yourself to the director? Yes, I feel a film is a director's vision. I totally surrender myself to the director. In the case of Lingusamy, his judgement of a commercial entertainer is amazing. So, I can blindly follow what he tells me. Every action, every dialogue and every emotion that I have done has been controlled by Lingusamy. Did you have fun shooting the film? It was actually like a picnic. Going to various shooting spots was like camping out and having fun. The four of us had a great time shooting Vettai. Throughout the shoot, I was ragging Maddy. We played cards a lot and Maddy lost a lot of money! Are you nervous because the other Pongal release is the remake of 3 Idiots directed by Shankar? I don't get nervous. It is festival time and people love to watch films. It is not that if they watch Nanban, they don't watch Vettai. If both the films are good, they will watch both. If they like one film more, they will see that again and again. I am sure both films will run. What are your expectations from Vettai? From day one Maddy said that Vettai would be a blockbuster. That is the kind of confidence he has in the project. I trust his judgement as he has so much experience in this field. Will Madhavan-Lingusamy be a winning combo again? Thanga Vettai, now in 3 languages!